We are proud members of Checkatrade and rated people. This gives you peace of mind that we are vetted, inspected and fully insured, assuring you of the highest standard of workmanship. You can also access our previous customer reviews and ratings through their websites……. All our estimates and quotes are free of charge with no obligations. We will come and visit your property to discuss your vision and ideas. The quote will show a full breakdown of works required to turn your idea into reality. From first contact right through to completion we will be working alongside you step by step to ensure your ideas are turning into reality. We strive to keep you involved and up to date at every stage of the project, giving you peace of mind and ensure you stay in control of your project. We always remember this is your home. We take great care in being flexible to your needs and aim to keep the disruption to a minimum where possible. We have a high standard of cleanliness at all times and aim to work in a safe and controlled manner, allowing you to carry on with your day to day lives. Depending on the project, we will set a time schedule with you. We strive on being punctual and efficient, allowing us to complete your project promptly whilst achieving the highest standards. Coming from a family of builders and tradesmen, I have been brought up to understand that every project is unique and personal. Every job starts and finishes with the customer and their absolute satisfaction. 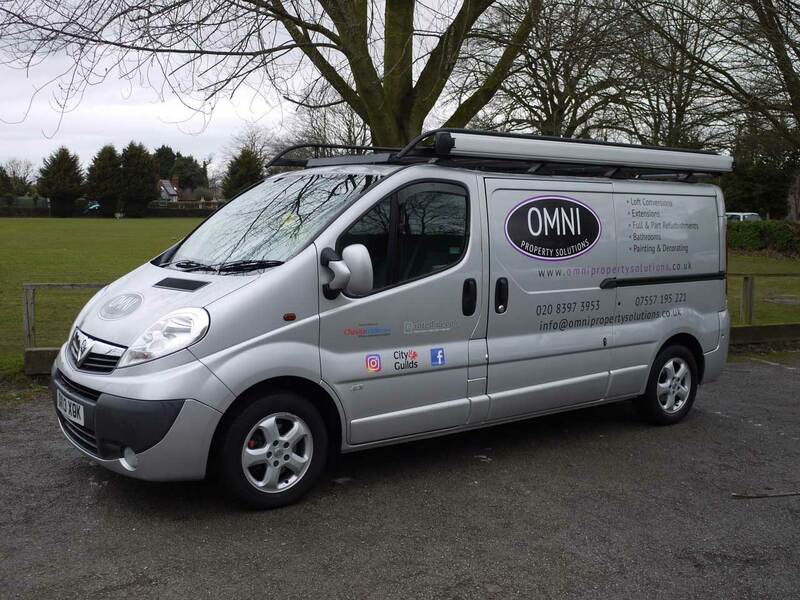 I created Omni Property Solutions to allow me the freedom to manage and deliver my own projects by working with like minded and trusted tradesmen that have impressed me along the way. I am hardworking, honest and determined to ensure that every project at OMNI Property Solutions is completed to the customers highest standards.